At Leonardo Diagnostic Tool, we have a passion and a deep love for supercars and exotics. Our diagnostic car tool uses state-of-the-art technology to diagnose exotics such as Ferraris, Lamborghinis, Alfa Romeos, Maseratis and more. Although not all supercars are produced in Italy, the country is well-known for its high-end race cars. The Italian automobile industry began as early as 1884 when Enrico Bernardi built a three-wheeled car that ran on petrol fuel. The first Italian car was produced two years later in 1896. Today, we would like to explore some interesting facts about luxury cars and supercars. Filing for bankruptcy in Dubai is simply not an option, so people flee the country instead. However, many of them drive their exotic sports cars to the airport and leave them in the parking lot, which is home to many abandoned Ferraris, Porsches, Bentleys, Maseratis, Aston Martins and more. Police cars in Dubai include Porches, Lamborghinis, Ferraris and Bentleys. Because many of the rich and famous in Dubai own sports cars, the police need to be able to catch them when they speed. We imagine that speeding tickets in Dubai must involve some pretty hefty fines. Famous jazz musician Miles Davis loved supercars, and one of his first supercars was a Lamborghini Miura. He liked to stash a .357 underneath the driver’s seat, and he ended up crashing and totaling his car in 1972. He also had a couple of Ferraris, and his lawyer even informed the local police department of the color of his car. The police were informed so that Davis would not be pulled over constantly while driving his car. The lawyer was worried that the police would see a black man driving a Ferrari and automatically assume that it was stolen. Not only is Daniel Craig extremely good looking and a talented actor, he’s probably one of the luckiest men on the planet. The reason is that Aston Martin agreed that he can take any car from the factory for the rest of his life. Daniel Craig had a great run as James Bond, and Aston Martins are the most famous cars in James Bond movies. In fact, the most famous Aston Martin would probably be the silver 1965 DB5 featured in Goldfinger, Thunderball and Skyfall. Who can forget the scene in Skyfall where the beloved DB5 makes its iconic return? That was actually a 3D-printed model that they used in order to prevent damaging the original car. In 2008, Lamborghini gifted the Italian state police with the world’s fastest police car, a Gallardo LP560-4, which featured gun racks, GPS, a video surveillance camera, a defibrillator and an organ transplant cooler. Unfortunately, it was crashed the following year. Maybe they should have given it to the Dubai police instead. Exotic supercars never fail to fascinate us with their unique history. 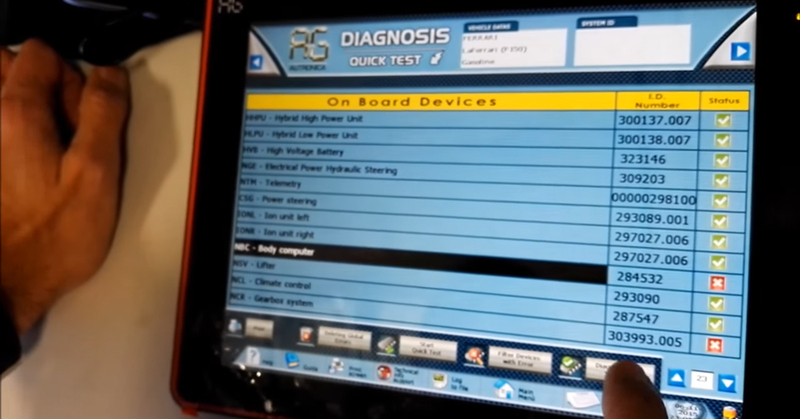 Our diagnostic car tool is the highest-quality car diagnostic equipment available for supercars. Avoid settling for cheap imitations by purchasing Leonardo Diagnostic Tools today.